Pewabic Pottery invites metro Detroiters to “shop local” this holiday season its annual Holiday Shopping Night on Wednesday, Dec. 12 from 6 p.m. to 8 p.m. Guests can join in celebration for a night of tasty holiday snacking, live entertainment courtesy of the Jazz Merchants and great discounts. To top it off, shoppers can find the perfect gift for loved ones from a selection of beautifully handcrafted ceramics by more than 100 artists. The night will be full of surprises with giveaways every 30 minutes, and "special purchases" available throughout the evening. Upon entry, visitors will receive a numbered ticket, entering them for a chance to win Pewabic items including ornaments, t-shirts, and even an iridescent vase valued at $100. 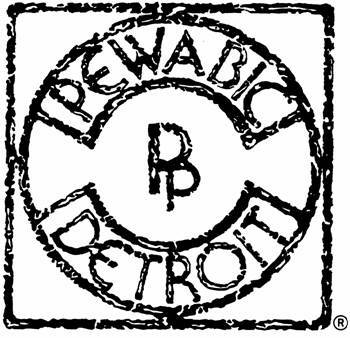 In addition to the great deals, Pewabic Society members will receive double their regular discount (up to 20%). Visitors can also take this time to view Pewabic Pottery’s annual holiday exhibition, Earthy Treasures, on display through Dec. 30. Pewabic Pottery is located at 10125 E. Jefferson Ave. in Detroit across the street from Waterworks Park.